A new study shows that the ozone layer is not actually healing, as we have previously thought. After thirty years since nations decided to collaborate to diminish the amount of chemicals from the atmosphere, the hole in the ozone layer appears to be shrinking. But is it? New findings indicate that the ozone layer from the lower stratosphere grows to be more unstable. Ozone is a substance which forms in the stratosphere, the area of the atmosphere between 10 and 50 km altitude, right above the troposphere that we live in. Ozone is produced in tropical latitudes and then distributed around the globe. Scientists are still trying to detect what exactly happened and what could be the cause of such a catastrophe. William Ball is an atmospheric physicist at the Physikalisch-Meteorologisches Observatorium Davos World Radiation Centre in Switzerland. He says that the new study does not intend to panic anyone. It only tries to raise awareness regarding the current problem. We need to understand what is happening in the lower stratosphere. A new study regarding the ozone layer issue was published last month in Geophysical Research Letters. This paper highlights the significant recovery of stratospheric ozone concentrations over Antarctica. This means that the Montreal Protocol in 1987 which imposed a global phase-out of chlorofluorocarbons (CFCs) and other dangerous compounds finally pays off. Nevertheless, recent findings indicate that the worldwide campaign to fix the ozone layer is not over because the problem is still present. Today, on February 6th, scientists have published another analysis in Atmospheric Chemistry and Physics. Ball together with his colleagues has examined satellite data regarding the ozone layer at mid-latitudes. They have looked at ozone levels from the surface of the Earth from the troposphere and the stratosphere. Hence, scientists revealed that from 1998 to 2016 the ozone in the lower stratosphere decreased by 2.2 Dobson units. This is a measure of ozone thickness. However, the concentrations of ozone in the upper stratosphere have increased by approximately 0.8 Dobson units. 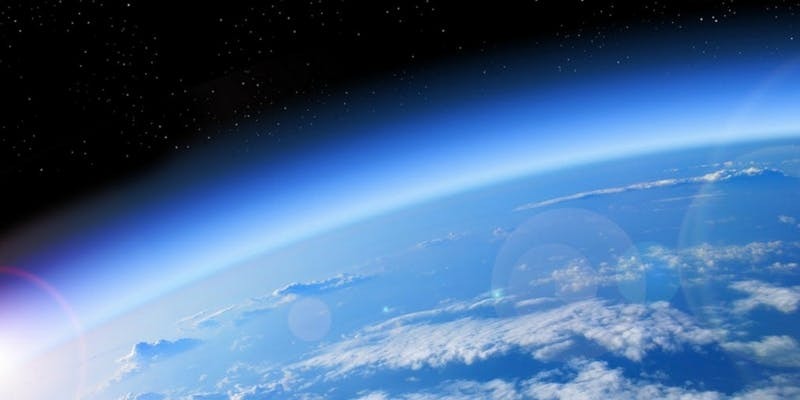 Ozone Layer of The Atmosphere: What is it? Ball says that they have found ozone at every altitude below 25 kilometers and every latitude. That is why scientists are now concerned about it. This appears to be a real problem that no one has analyzed before. The total thickness of the ozone layer is extremely important to absorb UV radiation and light. Sean Davis is a research scientist with NOAA’s Earth System Research Laboratory in Boulder, Colorado. He argues that the most important thing for UV at the surface of our planet is the “total column amount of ozone”. Previous studies have indicated a decrease in the ozone levels from the lower stratosphere. However, no other study has combined satellite information to analyze what was occurring across such a wide area of the globe and so far down in the ozone layer. The VSLSs reaches the atmosphere and damages the ozone layer in mid-latitudes. Researchers indicate that the main culprit here is VSLSs (“very short-lived substances”). These substances include ozone-eating chemicals like dichloromethane which is known to break down in 6 months after it reaches the atmosphere. For a long time, scientists have assumed that the short life of VSLSs prevents them from reaching the stratosphere. However, a study from 2015 proves them wrong. The study was then published in Nature Geoscience and suggested that these substances can be blamed for 25% of the ozone losses in the lower stratosphere. Many of the VSLSs in the atmosphere are of natural origins, such as marine organisms that produce dibromomethane. For instance, dichloromethane is an ingredient found in paint removers and solvents that we frequently use. The amount of this chemical in the atmosphere has doubled in recent years. Richard Rood is an atmospheric scientist at the University of Michigan in Ann Arbor. He argues that many more researchers should study VSLSs. However, it may be difficult for scientists to measure these chemicals since they are released in small quantities. Joanna Haigh is the co-director of the Grantham Institute at Imperial College London U.K. She says that climate change may also be a factor here. 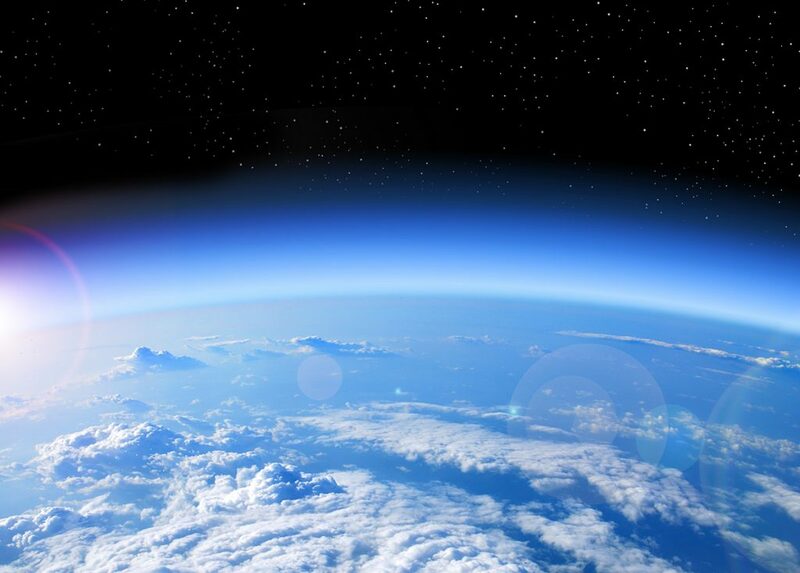 Global warming might sweep ozone out of the stratosphere especially in the tropics. Hence, scientists need to establish for sure what is consuming ozone in mid-latitudes where most of the global population lives. Furthermore, she has indicated that there are increased chances for potential harm in lower latitudes compared to the poles. Now, the data shows that the decrease in ozone is less than indicated at the poles before the enactment of the Montreal Protocol. However, UV radiation is more intense in these regions. Ball together with his colleagues have indicates that up to this point the Montreal Protocol has been a success. The most important thing now is to continue to diminish the VSLSs in order to boost the ozone layer’s recovery. Rood argues that the things they have discovered through the new study seem to be more subtle than the problems discussed when they have adopted the Montreal Protocol. Nevertheless, we have to stand united and diminish the amount of dangerous chemicals that could rise into the atmosphere. These emissions harm the ozone layer and boost the chances for global warming. The extreme temperatures and heat waves from the last two years have severely impacted the planet. Most of the world’s population lives in mid-latitudes where the ozone layer becomes thinner and thinner. Hence, we should diminish the use of fossil fuels and implement more renewable energy sources to avoid increasing air pollution. Global levels of ozone have started declining since the 1970s due to human-made chemicals. Only when specific chemicals were banned, certain parts of the ozone layer managed to recover. The layer of ozone has mainly recovered at the poles. The new study sheds light on the levels of ozone in the stratosphere, revealing the true problem. Dangerous chemicals like VSLSs cause the ozone layer losses around the globe. The most harmful aspect is that the ozone layer appears to diminish in mid-latitudes where most of the world’s population lives.